This news seems to confirm a fact I noticed few weeks ago when I did some PhysX tests with the very-upcoming GeeXLab. 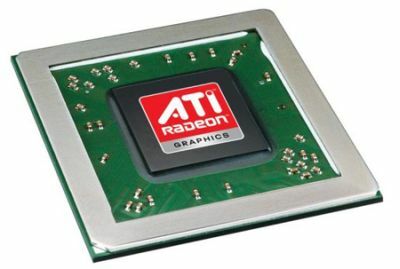 When an ATI Radeon graphics card is installed and used for graphics rendering, the hardware PhysX acceleration is disabled by NVIDIA drivers. The news says that only users who have an NVIDIA card installed for PhysX and an ATI card for graphics are affected. Since the release of 186 graphics drivers NVIDIA has decided to disable PhysX anytime a non-NVIDIA GPU is present in the same PC. Ill explain why this function was disabled. Physx is an open software standard any company can freely develop hardware or software that supports it. Nvidia supports GPU accelerated Physx on NVIDIA GPUs while using NVIDIA GPUs for graphics. NVIDIA performs extensive Engineering, Development, and QA work that makes Physx a great experience for customers. For a variety of reasons – some development expense some quality assurance and some business reasons NVIDIA will not support GPU accelerated Physx with NVIDIA GPUs while GPU rendering is happening on non- NVIDIA GPUs. I’m sorry for any inconvenience caused but I hope you can understand. But how Ageia PhysX PPU owners are affected? Radeon HD 4850 (Catalyst 9.10 beta) + PhysX in software mode (runtimes 9.09.0814 + Ageia PPU): score = 630 points – I didn’t manage to enable hardware mode! Radeon HD 4850 (Catalyst 9.10 beta) + PhysX in software mode (runtimes 9.09.14 + Ageia PPU): score = 634 points – I didn’t manage to enable hardware mode! Conclusion: seems all cards that can accelerate PhysX (GeForce and Ageia PPU) are disabled when a Radeon is present if you use latest NVIDIA drivers (ForceWare or PhysX). These people from Nvidia, getting worse. So why then i must install this PhysX if i want to play The Darkest Day on Radeon it runs just fine on X1950XT? The blocked if you have on XP like one Radeon and one Gefore and install for Geforce just PhysX drivers. Another reason not to buy Nvidia products – who knows if they will disable their products any time in the future if they don’t like some other piece of hardware you own? It’s all politics BS and Nvidia doesn’t care if they customer suffers. Lifelong customer of Nvidia but now I’m fed up with their shi*. Going to buy ATI for my next card and don’t care if I get physx or not. Bye bye nvidia, and good luck with your failed business tactics and hope you enjoy the community backlash. Ageia is supported only on 8.09.04 and earlier. You must install older drivers over 8.09.04 (without uninstall) to get it working. It’s said in every single PhysX driver release notes since then. What I understand is you have to install firstly driver 8.09.04 and after you can install a new version like 9.09.0814 to have an upgrade for Ageia PhysX PPU. PhysX System Software cointains several components – PhysX SDK libraries (all that 2.3.x-2.8.x folders), GPU PhysX CUDA layer, and – Ageia PPU firmware, that is ommited from PhysX drivers older than 8.09.04. So you need to install those 8.09.04 drivers prior everything else to get your PPU recognised as a device. Have you done all this steps correctly while testing ? I haven’t system with ATI card in my sight, so I can’t check it too. Yes Sir, I’ve done all steps. I even installed directly the version 9.09.0814 without a prior install of 8.09.04. And in that case, Ageai PhysX card is not detected and it’s correct according to NVIDIA release notes. But when I first install 8.09.04 and just after I install 9.09.0814, Ageia PhysX card is properly detected. So with 8.09.04 + 9.09.0814, hardware acceleration should be enabled for Ageia card. Zogrim, if you have an Ageia card (with a GeForce for graphics) , could you please check if the Ageia card is supported with 8.09.04 + 9.09.0814? As soon as I shutdown my dev station (currently with a GeForce GTS 250), I’ll plug the Ageia card inside. JeGX, I think it’s not comments, but e-mail talk. I’ll try to gather some volunteers with different configurations, to do some extensive testing. If it’s all true even I at PhysXInfo won’t stand aside, but it need more investigation. Perhaps such a hack could be use to enable PhysX with ATI card as a main adapter? didn’t you guys read the email from tech support at nvidia? they admitted they were no longer supporting physX with ati. How hard can it be to understand? I demand a refund from nvidia…i purchaced a geforce9 just for physx..now they pull support and im left with a card i cant use..
idiots this thing disables physx in nvidia ion too,stupit nvidia i should go with ati.